We are pleased to announce a new data-driven endeavour that will support European journalists. In October 2017, the European Data Journalism Network – EDJNet will start producing, sharing and publishing data-driven news content on European affairs across Europe and beyond. It aims at providing news media across Europe with trustworthy and rigorous content and support, and at providing the general public with valuable editorial tools for better understanding Europe. The content produced by EDJNet will be available for free through a specific multilingual and open source website and on EDJNet partners’ own website. 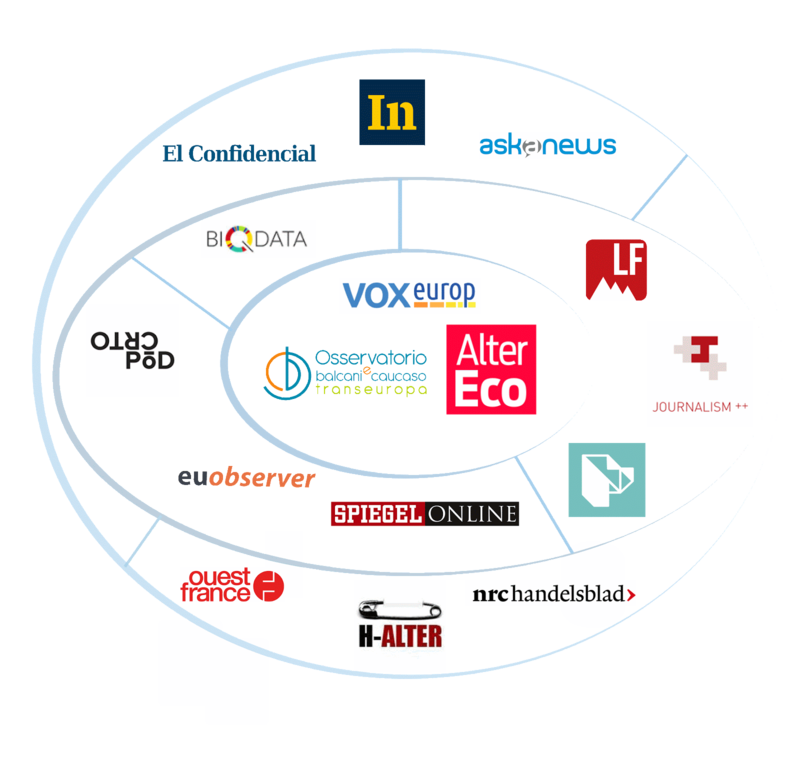 EDJNet has been set up by a consortium of European media outlets led by Osservatorio Balcani e Caucaso Transeuropa and VoxEurop (France), in close partnership with three other outlets – Alternatives économiques (France), Spiegel Online (Germany), EUObserver (Belgium) – and three data-journalism agencies – Journalism++ (France); Local Focus (Netherlands) and Journalism Robotics (Sweden). Eight other media – two data journalism newsrooms (BIQdata at Gazeta Wyborcza in Poland and Pod črto in Slovenia) and six major outlets (Askanews and Internazionale in Italy, NRC Handelsblad in the Netherlands , El Confidential in Spain, H-Alter in Croatia and Ouest-France in France) – already take part as EDJNet partners in this broad network. These partners have a cumulated potential audience of 70 million unique monthly viewers and the network will be open to new associates. Produce data-driven investigations, in-depth articles, explanatory stories and features, as well as infographics, videos and short reviews in up to 12 languages. Develop automated tools to increase newsrooms’ productivity to report on European issues and curate existing data-driven resources, tools, stories and news to encourage users to follow and cover EU affairs. Provide tailored, on-demand advice on data-driven news to journalists through its helpdesk and webinars. Engage in news co-production and content sharing with other media outlets across Europe by setting up editorial partnerships and content syndication. Content will either be produced by single partners or jointly by two or more of them. Content will be adapted and localised to fit partner’s needs and reading habits of local audiences. The project will receive a grant from the European Commission , yet EDJNet and its members enjoy complete editorial independence. Interested media can check www.europeandatajournalism.eu as of October 2017. Meanwhile, more news on each partner's website, and at #EDJNet and #ddj .